A sensitivity analysis of each proposed retrofit measure was conducted using PHPP with the Trias Energetica concept employed to establish a hierarchy of measures. Various studies have reported that many low energy houses experience overheating and consequent discomfort for occupants. The retrofit insulation levels were designed to suit the summer condition and took into account the predicted increase in the maximum mean summer temperature expected by 2050. Our retrofit model evolved to include a combination of Passivhaus, Minergie and Active House principles. The Active House standard was adopted as we wanted to achieve a comprehensive retrofit to cover issues such as day lighting and embodied energy. This standard specifies targets for primary energy, indoor climate and environment and has an emphasis on occupant health and wellbeing. The enerPHit standard was considered, however this only applies to external insulation which was not an option for this house. During deconstruction we discovered that mineral wool insulation which had been installed for around twenty five years had been pushed tight up against the sarking felt. The lack of an air gap had caused the original timbers to rot and as a consequence a new roof was required. Two new roof options were considered, a traditional roof built on site or one built off site. We worked with Kingspan Century to design and manufacture a prefabricated roof with a high level of insulation to obtain a u-value of 0.10 W/m²K. The roof was delivered to site with apertures for Velux roof windows and both breathable and airtight membranes in place. 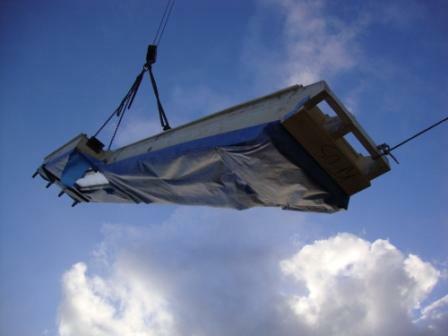 The old roof was removed and the new roof lifted on and made weather tight within a twenty-four hour period. 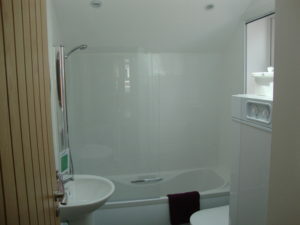 Minergie and Salford low-energy house case studies indicated that any advantages of air heating are outweighed by its disadvantages. A wet system was therefore installed consisting of a Baxi 12 kW system boiler and Gas Saver flue gas heat recovery coupled to low capacity Quinn radiators via insulated pipes. Separate heat meters installed in the space heating and domestic hot water system will enable comparison between PHPP predictions and operational performance. 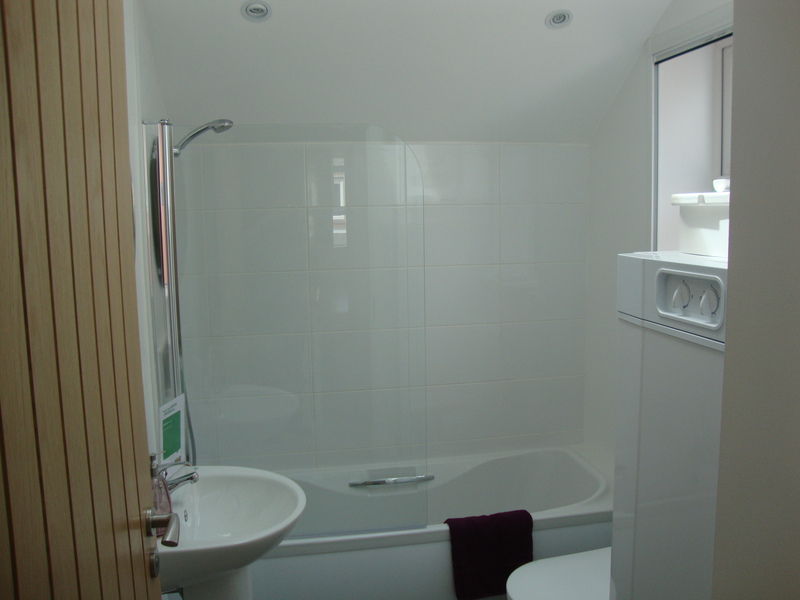 Honeywell controls were adapted enabling the boiler to be interlocked with the ventilation system so it can only provide space heating when the MVHR is operating and the Velux’s are closed. Both solar thermal and PV’s were considered for the south facing rear roof. 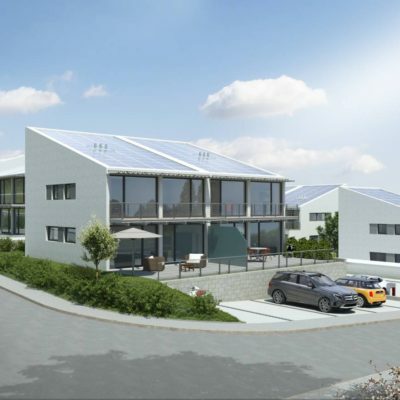 Analysis indicated that the potential CO2 emission savings by covering the roof with a 2.45 kWp PV array was around five times greater than a solar thermal system suitably sized for the number of occupants. The PV array consists of ten Kyocera modules mounted on-roof with a 150mm gap between the slates and the modules to provide cooling. 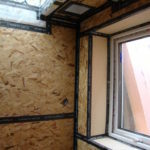 The UK Building Services Research and Information Association (BSRIA) measured the airtightness of the original house at 12.21 air changes per hour (ACH) at 50Pa, equivalent to an air permeability of 12.43 m³/(hr.m²). For the PHPP modelling we used an aspirational airtightness target of 1.0 ACH. A number of blower door tests took place during the build with the first one achieving 0.47 ACH before plastering. 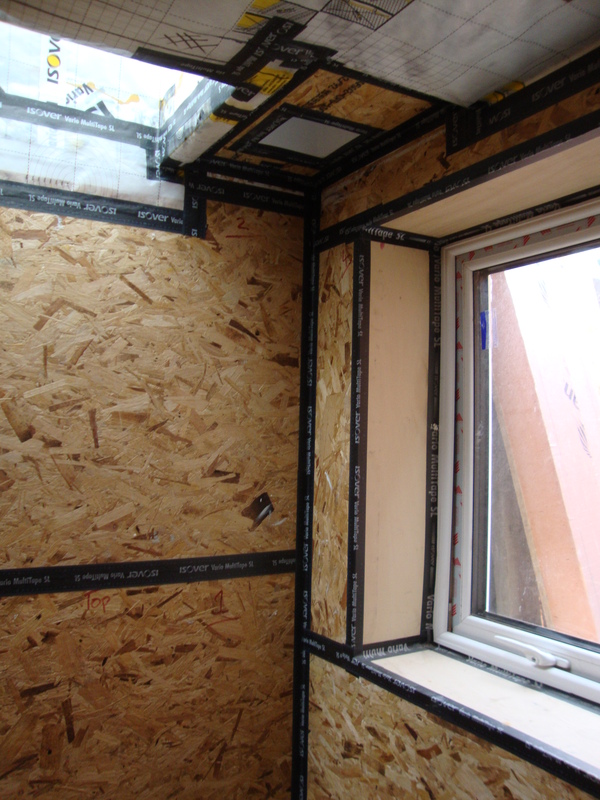 After completing the plastering and remedial work on window seals, BSRIA measured an airtightness of 0.31 ACH, equivalent to an air permeability of 0.25m³/(hr.m²) for both a positive and negative pressure of 50 Pa. 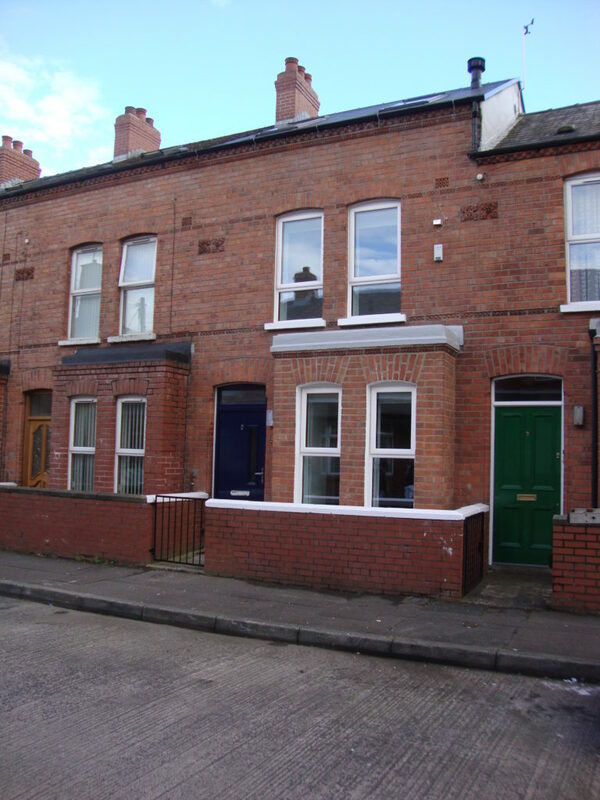 The retrofit house is being subjected to a building performance evaluation to compare the predicted building performance with the measured performance. The Energy Saving Trust is monitoring energy use, indoor climate and a host of other metrics for a two year post occupancy period. Performance of the structure is being monitored using various sensors including ones for moisture and temperature positioned within the building fabric. Heat flux sensors attached to various elements of the thermal envelope will enable analysis of predicted u-values and in situ u-values. 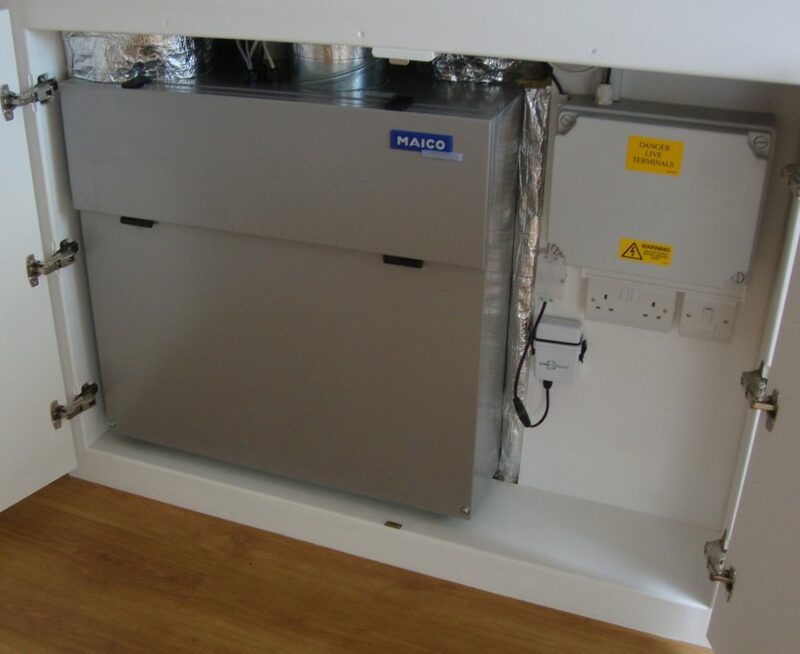 A Maico WR 300 mechanical ventilation with heat recovery (MVHR) unit installed in the attic delivers supply air via steel ducting and Coanda type air valves. The system was designed to supply 30m³/hr of fresh air per person in normal mode which is based on the Pettenkoffer criteria for indoor CO2 levels of less than 1000 ppmv and also to keep total volatile organic compounds (TVOC’s) below 300 μg/m³ to ensure good indoor air quality. The designed ventilation rate of 120m³/hr provides an air exchange rate in excess of 0.5 ACH. This is recommended by BRE and supported by studies in Nordic countries as the minimum ventilation rate to remove water vapour from within a dwelling to avoid both damage to the occupants health and to the health of the building structure. A clothes drying cabinet is connected to the ventilation system and the inclusion of a duct heater renders a tumbler drier redundant. The hybrid ventilation system opens the four Velux roof windows to provide passive cross flow ventilation when a set point temperature is reached. Work commenced on site in September 2010 with a systematic deconstruction to establish which parts of the building could be retained. All material removed from the house was measured to enable a life cycle assessment (LCA) to be conducted. 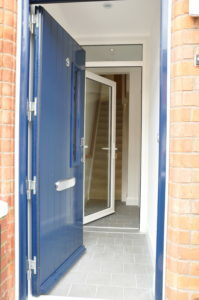 Sima Pro ISO 14044 LCA software was used to compare the embodied energy of the retrofit house to an equivalent new build. Day lighting was increased to meet the requirements of the Active House standard and to reduce artificial lighting. Four triple glazed Velux roof windows were installed and a Velux sun tunnel to illuminate the central stair well. The sun tunnel was modified to thermally isolate the reflective aluminium tube from the external flashing. A cassette filled with translucent UV stable Lumira aerogel insulation mounted inside the light tunnel provides an estimated u-value of 0.50 W/m²K. To maximise day lighting, walls and ceilings were coated with Dulux Lumi Tec paint which reflects more light than normal paints.